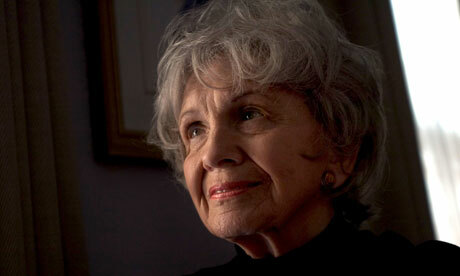 When Alice Munro won the Man Booker International prize in 2009, many considered it a beatification that was long overdue. For decades, Munro has been publishing collection after collection of beautiful short stories, widely admired, widely read, but it's been an unflashy career, seemingly careless of the trappings of fame or bestsellerdom. This is simply a good writer doing what she loves. Her fellow Canadian, Margaret Atwood, says, "Among writers, her name is spoken in hushed tones," but unlike many authors who are considered to be writers' writers, Munro's deceptively straightforward, narrative-based stories have achieved an audience beyond her immediate fanbase, despite her rare public appearances and refusal to give interviews. The corollary of her steady, unimpressed attitude to the trappings of fame is mirrored in her cool prose. Each of the 14 stories in this collection is like a novel-in-miniature, concerned primarily with the telling of the tale rather than rhetorical flourishes. These are not stories that can be read quickly, back-to-back, any more than you would read 14 novels back-to-back. Each needs to settle in the mind because Munro has an uncanny knack of convincing the reader that the characters have real lives before the stories commence and continuing existences after. "On the bench outside the station I sat and waited…" begins "Amundsen", the second tale in the collection – and it's a classic example of how Munro takes the reader straight into a life-in-progress, in this case an account of a young woman, Vivien, on her way to work as a teacher at a residential home for children with tuberculosis. She soon catches the eye of the medic in charge, the aptly named Dr Fox, and the rest of the staff hear wedding bells. Vivien does too, but the ringing sound will have a slightly off-beat echo for most readers as Munro drops one hint after another that Dr Fox is not reliable. When the wedding is aborted, it comes as an inexplicable shock to her, yet seems inevitable to us.